What did bring you in to write this book? This book appeared as a result of my prolonged efforts devoted to understanding why some individuals get everything quick and easy, while others have to spend their whole lives fighting for survival and realization of their ideas. What type of readers do you expect for this book? Who has a request for this publication? Describe your audience. The readers of this book are people who have difficulties in any aspect of their lives; those people who try to achieve their goals and cannot get the desired result. These are people, who are ready to take responsibility for the occurring events; those who do not pretend to be victims of shocking circumstances, an unsatisfactory government, or bad karma. These are people, who possess a special level of intellectual development, which allows them to make conclusions and to be engaged in self-development; in most cases they are the highly educated people with a degree. What is the main reason for them to read this book? What is the difference between this book and others books on the same subject? 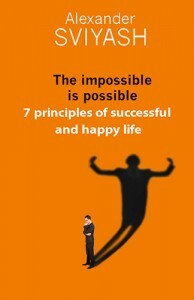 This book is about the obstacles on the way of success and luck in any aspect of life, whether it is a job, business, private life, or health. The majority of books with similar orientation are built on the generalization of experience of successful people and consist of a number of recommendations like: “If you think and have habits of a rich man, then you will become rich.” Those recommendations help only in the case when the internal world and value system of the reader, coincide with the internal world of a successful individual; however usually there is a big difference between them. That is why the rich are getting richer and the poor cannot get out of poverty. This book is built on the generalization of negative experiences of people who have difficulties in reaching their desired goals. The typical mistakes made by many people, irrespective of their levels of the wellbeing, education, or holding position, are revealed. The ways of alleviating these obstacles are suggested. As a result, peace is coming into a man’s soul, and all recommendations of other authors are obsolete. For the first time in this book processes are described, which happen to be in the real life of most people despite of their development level, financial situation, work position, as well as other factors. It appears that life somehow interferes with the path of all people using the kindest intentions attempting to make themselves even kinder, better and more positive. The book teaches us to neither judge the world nor ourselves. However not everyone can live this way. A person can smile on the outside and can say that everything is perfect; while at the same time inwardly he can envy, condemn, and blame, hate, and feel other sad emotions. As a result, life will be giving him its “lessons of the spiritual upbringing”, following his goals which will be blocked in the life field where he is experiencing the majority of his feelings. There are means that life uses in order to destroy our superfluous expectations and to block our success. 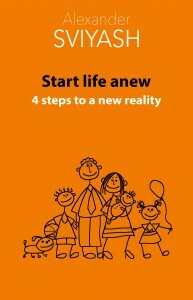 Here, recommendations are given for us to understand on how we can escape from those unhappy lessons. As a result, the person starts to understand on how he should think and act to make everything right, and desired goals are reached quickly and easily on the upward wave of luck. How can you prove that you really are an expert in this subject matter? I have longstanding experience of private consultations with people from very different stratum and from different countries, experience in training conducted in different countries all over the world, numerous letters of gratitude, as well as many editions of my books. Who out of authoritative and recognizable names can give you a reference? The editors of publishing companies where my books got published can be considered as my references and the training participants as well. What is the difference between your point of view and theory etc. and the other popular and recognizable views on this subject at the present time? The subject matter of this book lies in the area among business oriented authors who are giving the applied recommendations for achieving the success in business, such as how you speak or how you schedule your work-day, how to understand partners and impact on them, etc. Authors like Dale Carnegie, Napoleon Hill, and more modern authors like Brian Tracy or Mark McCormack are examples of those referred to here, who write about manifesting wealth. Why do you believe it is necessary to bring this to people and how does it help them practically? On one side, this book meets very closely with the authors who recommend that help of hidden forces should be used as a way to achieve goals, i.e. authors like Jose Silva, Robert B. Stone, and Tag Powell. There, for the first time, we can see the mechanism of operation of those hidden forces as the proof that they are not simply helping, but blocking our efforts towards spiritual and cultural improvements. Beside this, an idea has been developed that a person deserves everything he wishes in his life, and he does not need any religion and mystical rituals to reach those goals on the wave of success. Why can your theory be considered unique? 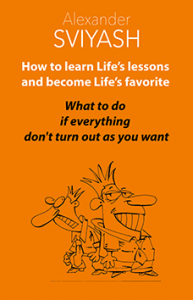 This book is a peculiar philosophy of a harmonious and successful life rather than just regular set of recommendations like “do this way and everything will be OK”. What are the instruments you usually use to boost sales (particularly for every country)? The founding of the Positive Psychology Center in Moscow www.sviyash-center.ru where individual consultations are held using the suggestive methods and different educational programs.